India has enough thermal and gas-based power generation capacity to make up for the shortfall caused by lower hydroelectric power output due to the current water scarcity in the country, Power Minister Piyush Goyal said on Tuesday. 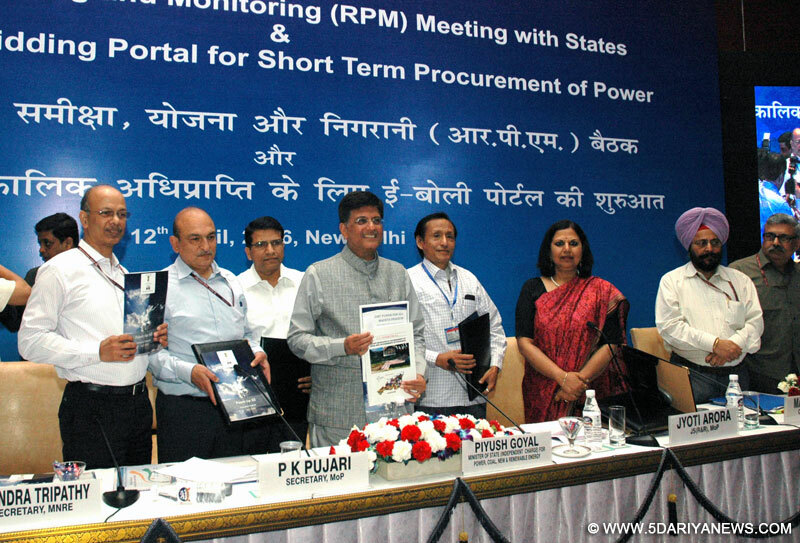 "India has enough capability to make up for shortfall due to lower hydro power generation, by thermal and gas based plants," Goyal said after launching the DEEP (Discovery of Efficient Electricity Price) e-Bidding and e-Reverse Auction portal for procurement of short term power by distribution companies (discoms). "It is obvious that due to scarcity of water in the country, hydro power generation has come down particularly in states including Karnataka. Power sector and states are monitoring the situation. If states want power then they would get it provided transmission facility is in place," he said. Effective from April 1, it has been made mandatory to procure short term power - for a period of more than one day up to one year - by using the e-Bidding portal. "In power exchanges, trading of electricity is done for medium term and long term. But trading for short term and same day trading is not there. Here on this portal you can do that," he said.Currently out of total generation of around 91,671.33 million units, about 10 percent is transacted through short term bilateral agreements and through power exchanges.The union power ministry said in statement that the scope of this portal will be expanded soon to cover medium term and long term procurement of power.Goyal also said that PTC India is developing an app for power trading on mobile phones that would be launched within four weeks.Earlier, during the review meeting here of state power secretaries, Nagaland, Madhya Pradesh and Himachal Pradesh signed agreements to ensure power for all by 2019.